Hét Microsoft Dynamics event van het jaar! Jay Ramsanjhal is chairman of CraniumConnect, the largest independent business community for Microsoft Business customers. 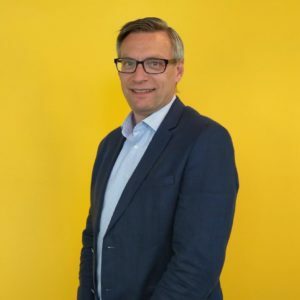 In the past, Jay worked in at management consultancy and interim (change) management organisations, especially in the field of Customer Engagement and Digital Transformation. He has proven to be successful at complex projects, where he operated at the intersection of people, processes and IT. Jay is known for his empathic and people oriented approach, without having to give in on vigour and the end result. Jay speaks about digital disruption and innovation and is evangelist of Digital Engagement, with an emphasis on how effective use of digital technology can lead to higher levels of customer satisfaction. Furthermore is he the creator of the Digital Engagement Framework, a strategic instrument that helps organisations to adopt Digital Engagement. As a speaker, Jay adopts his message to the audience, which allows him explain complex topics in an understandable and clear way. He often uses humour with a sharp edge as a catalysator to captivate and connect with the audience. 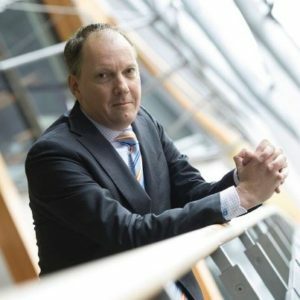 Sergej Berendsen is a seasoned, independent program director, CIO and COO, responsible for a multitude of large transformations in de financial and regulatory industry as well as two Fintech start-ups. He has also been initiator of Corporate Tribes, a foundation focused on sharing and deepening Agile strategies, different way of workings and digital transformation. Several real examples of successful agile transformations in a legacy environment will be discussed. He will demonstrate how these changes follow a structured path, connecting the practice with a theoretical foundation. He will provide guidance, tips and tricks on how the start your own agile or digital transformation. 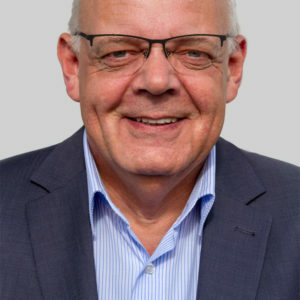 Ron Meijer studied Business Administration at the Erasmus University Rotterdam. He started his career in the financial industry acting as a consultant for Banking Technology and Information management. In 2008 Ron joined the Port of Rotterdam being responsible for Corporate Information Management and Projectmanagement & Realisation. 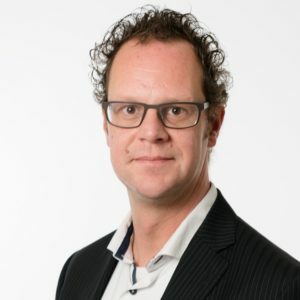 Beginning of 2013 Ron joined the Municipality of Alphen aan den Rijn as CIO responsible for amongst others a large merger between three Municipalities, including the integration of three different datacenters and application landscapes. 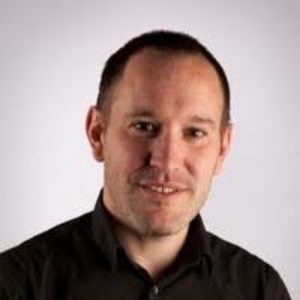 Currently Ron is Corporate ICT Director for Kiwa and is responsible for the worldwide group ICT and responsible for the global ERP program FLOW!. Emo Prins is a born entrepreneur. Due to more than 15 years of management experience at several software- and IT organisations, he is familiar with all business processes within a commercial organisation. From generating leads to customer retention. Next to his role as CEO of BusinessBase, he is initiator and former organiser of the industry congress ICT entrepreneurship and is a member of the advisory board at two other prominent organisations. Harro Knook is a senior trainer and consultant at Mprise. He started working at Mprise in 2010 and has over 20 years of experience in hosting IT courses and leading IT implementations (ERP, CRM, D365). As a company economist, he has a clear vision on how and why IT projects are successful. According to him, the key to success is knowledge and competence. Thinking and acting from a strategical and target-focused perspective, with an eye for employees (and their corresponding responsibilities), he guides customer on change management and the latest technological developments and trends. Bart is Senior Business Intelligence consultant at Ensior. He is an enthusiastic BI generalist with understanding for all dimensions of the organization. He likes to discuss the strategic value of certain KPIs, but also likes to dive deep into the code. Bart has more than 15 years of experience with Microsoft BI. In that period he fulfilled all possible roles in the field of Business Intelligence. Over the last two years, he supports companies on behalf of Ensior in a flexible implementation of Analytics4NAV. Before that he was Lead Developer, Product Owner and architect. 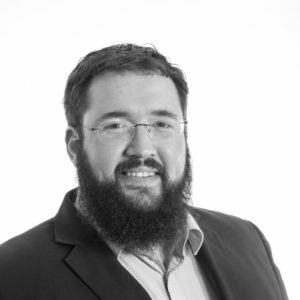 Nico has led many digital transformation projects in the wholesale, project and service management environments. As a manager, he is a very energetic leader and a natural communicator. Klaas is since 2015 responsible for the implementation of Microsoft Dynamics AX and the webshop of Medux. In his position as program manager he is within Medux the iniatior and director of strategicimprovement programs / projects that lead to process optimization -and controlling. Before Medux he worked amongst other for Icare, Careyn and CIZ in kind of similar roles. Dirk is a Solution Consultant at Macaw. He is a veteran in the Microsoft eco system and guided several major companies on their journey to optimize Employee Empowerment supported by a cloud based services plat-form. Dirk understands that users come first in today’s continuous changing digital world and believes that organizations can only be successful in their customer engagement efforts when they treat their employees as customers as well. Relevance is the key concept in modern workplace service offerings, thus providing the user access to the right apps, tools and information when they need it across all their devices. They do not want to be limited by the pace of IT departments but want to feel liberated in their believe to continuously add more value to the organization and their customers. Jonathan is an ambitious and driven Consultant, Developer, Architect and System Integrator with vast knowledge and experience in designing and implementing Enterprise Application Integration solutions using the Microsoft BizTalk Server framework. Broad interests that transcend the integration field as is clearly shown by interests in the fields of infrastructure and architecture. Fluent in Dutch, English and Russian. Technology Specialist: BizTalk Server 2006 (MCTS). 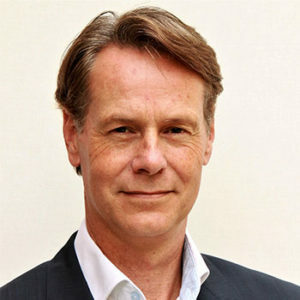 Niels Roos is a Technology Solutions Professional for Microsoft Dynamics CRM. 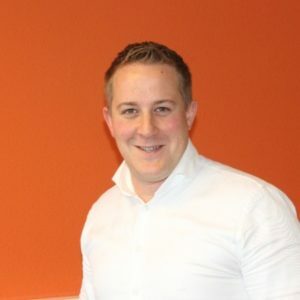 As a CRM specialist, Niels is the link between business issues and the technological solution. He gets the maximum out of the technology by continuously challenging customers and partners. ‘Data tells more than a thousand words!’. Thomas van Buren has a history in logistics and finance. With this business knowledge he knows the challenges of today’s SME’s. ‘We use Power BI to help people see where to improve’. As CTO and co-owner of Hillstar he was responsible for more than 250 BI-implementations in the EU region. Linda is an experienced self-employed behavioral marketer at Webfluence, helping large brands to make digital more human. Relevance and context are key in delivering personalized 1-on-1 messages and experiences. You need to understand who your visitor is, how they behave in your customer journey and why they engage with your content. The goal is to offer true relevant experiences, on the right moment, right time and right device and adjusted to the right intention of your online visitor. By trying to understand the consumer psychology behind all of this you can take that extra step and steer your customer or prospect in the right direction and nudging him or her to the right goal. Webfluence is based in Amsterdam and offers services for interim projects and workshops for a.o. : (digital) channel management, conversion optimization and online persuasion. With clients like: ING, Freo, Dela, Knab, T-Mobile, ABN AMRO. Stephanie van den Akker works for Microsoft as Territory Channel Manager. Her focus is on Dynamics in the SMB Market. Do not hesitate to ask Stephanie about Dynamics in the SMB market and how your business can grow with the use of our newest Dynamics Saas product; Dynamics365 Business Central. 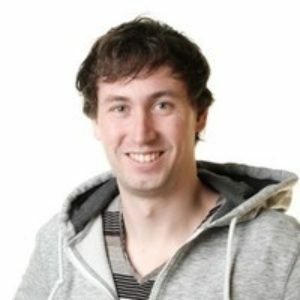 Jeroen Schiphorst is Technical Consultant at Recreate. In 2015 he graduated from the University of Twente as a Bachelor of Science with a degree in Industrial Design Engineering. During his Bachelor’s studies, he was given the opportunity to study in Sweden at the KTH Royal Institute of Technology for one semester. This was an opportunity for self development on more than just educational level. After successfully completing his studies in Sweden and exploring the Swedish culture and landscape he returned back to the Netherlands. He continued his education with a Master Industrial Design Engineering at the University of Twente. Within the master, the direction Emerging Technology Design was chosen with the specialisation Smart Environments and Virtual Reality. The graduation assignment for the master was conducted at Recreate. In April 2018 he graduated on the subject of developing a framework for guided maintenance using Augmented Reality and Mixed Reality. As a Technical Consultant, he fulfills several roles within the company and is involved in international projects such as Indu-Zero. Currently he is working on a platform to enable companies to integrate ERP, IoT and CAD data to visualize important information and instructions in Virtual-, Augmented-, and Mixed Reality. 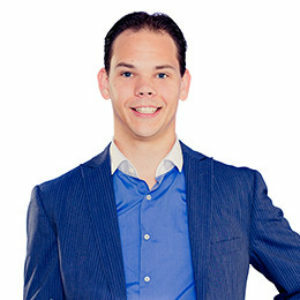 Jeroen ter Heerdt is Technical Evangelist on Data and Advanced Analytics with Microsoft. He is passionate about “all things data”; whether it is about databases, data warehousing, BI, big data, data visualizations, self-service BI, Hadoop, real-time BI or anything even remotely related to data or insight. He strives to apply these concepts in his life as much as possible. 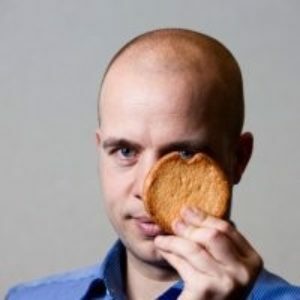 Jeroen combines enthusiasm, vision and hands-on experience into fresh, entertaining and thought-provoking talks. Hans is an entrepreneur and a senior lean consultant, with more than 12 years of experience in the manufacturing industry. Hans is an expert in Lean / process optimization, and process analysis / process mining. 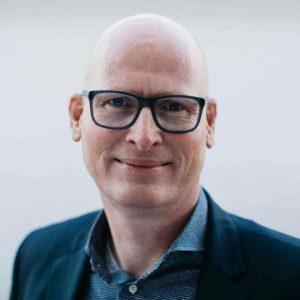 Hans has a lot of experience with IT implementations (ERP, PDM, DMS, CRM), and as a project manager, he has a clear vision regarding the successful execution of IT projects. Helping successful companies to optimize their processes on the cutting edge of business and IT is a challenge he would like to take on with you! Michael is a revenue growth expert. With almost ten years of experience growing companies in sales and marketing positions he is familiar with the challenges organisations face in scaling up. Growing up in a family of entrepreneurs at a young age Michael was fascinated by growing businesses and scaling companies. 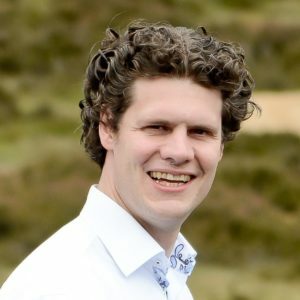 After finishing his Business Degree with a specialization in Marketing he joined several Dutch software companies from start-up to large international software vendor. Leading several commercial he is an experienced expert helping commercial teams to achieve more. As Chief Commercial Officer at BusinessBase Michael helps organization with how to get back in control of the Customer Journey and Buying process. BusinessBase helps organisations to improve their Sales, Marketing, and Service strategically by implementing Microsoft Dynamics 365 for Sales, for Marketing, Adobe Campaign, ClickDimensions, and Azure (Data, Analytics, BI and AI). Our aim is to optimize your customer’s experience, improve customer satisfaction and to help your organization Drive Revenue Growth! Erwin is a technology enthusiast who is always looking to connect business value and technology because according to him technology is limited without a good business story. Thru the years Erwin evolved from a technology consultant toward a business focused professional who explores with customers the business impact of technology and it’s belonging value. Tommy is the go to person for everything around marketing automation and cross channel communication at Adobe. Working as product specialist for Adobe Campaign in the Benelux, he follows advisory as well as sales tracks for customers that want to take their customer’s experience to the next level by following them at every step of their customer journey. The last 5 years he worked together with different brands in various industries that wanted to stand out from the crowd. He is convinced that only Adobe Campaign let’s you talk in the customer’s voice and walk at their pace. Carl Padberg is responsible for ERP applications for the sports division of ABEO group. He started his career as a system administrator / RPG developer / Business Consultant on IBM mainframes. From 1996 till 2011 worked as a Functional Solution Architect / Functional Consultant / Project Manager Dynamics AX at Microsoft partners for national and international customers in different branches. 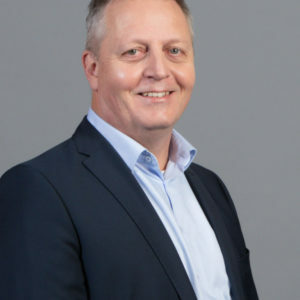 Carl Padberg is mainly busy with analyze and optimization of business processes in combination with ERP software by using the standard functionality of the software. 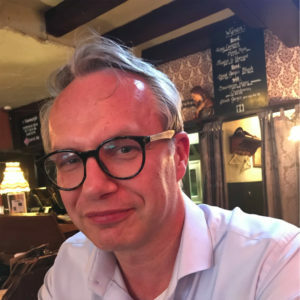 Ton Kranenburg is Solution Delivery Manager at KPMG Crimsonwing with huge experience on different international and local Microsoft Dynamics projects. He has a broad business experience in wholesale, logistics and manufacturing, combined with knowledge in AX/Dynamics 365 F&O and ICT Projects. In the past he has been a Finance director & manager in wholesale/retail companies. He also is experienced with the AGILE project methodology (OGMID) based on sure step, he is taking care of the onboarding and training of colleagues in the OGMID project methodology. Peter Meekes | Terberg Group B.V.
Peter Meekes is an Enterprise Architect at Terberg Group, he is part of the IT Applications department. 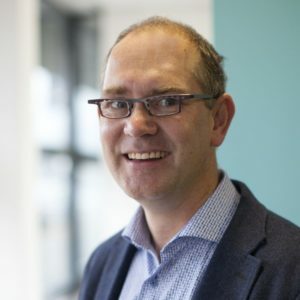 Peter is responsible for getting all operating companies in the shortest time possible on the Dynamics365 platform in which people, departments, companies, applications and services must work together in an integrated and orchestrated but also flexible manner. For that to happen he works with stakeholders, both leadership and subject matter experts, to build a holistic view of the organization’s strategy, processes, information, and information technology assets and use his skills, knowledge and experience to ensure that the Terberg businesses and IT are in alignment. 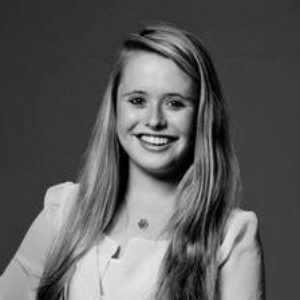 Isabelle Smeekes joined Microsoft in September 2018 as MACH trainee Technical Solutions Professional. 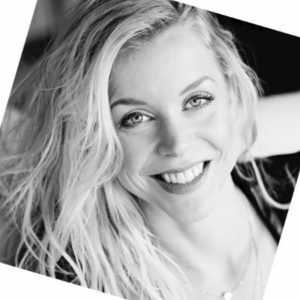 Having a background in digital business and an interest in human resource management, Isabelle has been working with and is specializing in the business application Dynamics 365 for Talent. Giovanni Kruit | Bolletje B.V.
Giovanni is a Manager HR at Bolletje B.V. Bolletje is an established name within the Dutch food industry, which was founded 150 years ago. Giovanni is responsible for the human recources department, strategic workforce, learning & development and leadership & culture. He has a lot of experience with strategy project, changemanagement and optimization within the food industry.